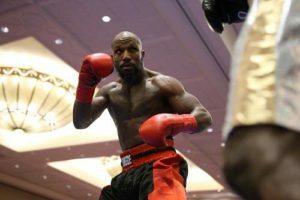 It has been a little over a year and a half since Vaughn “The Animal” Alexander (10-0, 7 KOs) was released from prison after serving more than a decade behind bars. During that time, his daughter was born, he signed a promotional contract with Main Events, he hired his long-time friend, George Jakovic, as his manager and he made his television debut on HBO Latino Boxing in April. Throughout all of these changes, Vaughn has remained focused on leaving his old life behind him and tirelessly pushing towards his goal of becoming a world champion, like his younger brother Devon Alexander (former IBF Welterweight World Champion). The next hurdle in Vaughn’s path to dominance is former world title contender and New Haven native Elvin Ayala (29-9-1, 13 KOs). The two are slated to face each other in a ten-round middleweight battle as the main event on the Thursday, October 5 installment of the Mohegan Sun’s Rising Stars Boxing Series at the Arena at Mohegan Sun Resort and Casino. Ayala has been in the ring with some of the division’s toughest opposition, including his IBF World Title fight against Arthur Abraham, former IBF Middleweight World Champion David Lemieux, Curtis Stevens, Sergio Mora, Sergiy Derevyachenko and Derrick Findley, so this fight is Vaughn’s biggest test in the ring since his return to boxing last year. Since then, he is 5-0 with three KOs, but against Ayala, Vaughn will be facing an opponent who brings world champion level experience and hometown crowd support with him.